FLAGSTAFF – Hailed as a humbling test of human endurance, the marathon requires power, precision and, above all, perspective. For 31-year-old Flagstaff resident and 2016 Rock ‘n’ Roll Arizona Marathon champion Tommy Puzey, his Jan. 17 triumph on a 26.2-mile course through the streets of Phoenix, Scottsdale and Tempe served as the ultimate testament to a newfound perspective. But even the road to the starting line of this latest race was riddled with roadblocks. Puzey suffered a broken leg 21 months ago while filming a commercial in Greece, a sprained ankle during a 50-mile endurance race six weeks ago, and the night before the race, he eschewed traditional rest in favor of swimming in 60-degree weather with his daughters. But Puzey prevailed, and so did his perspective. 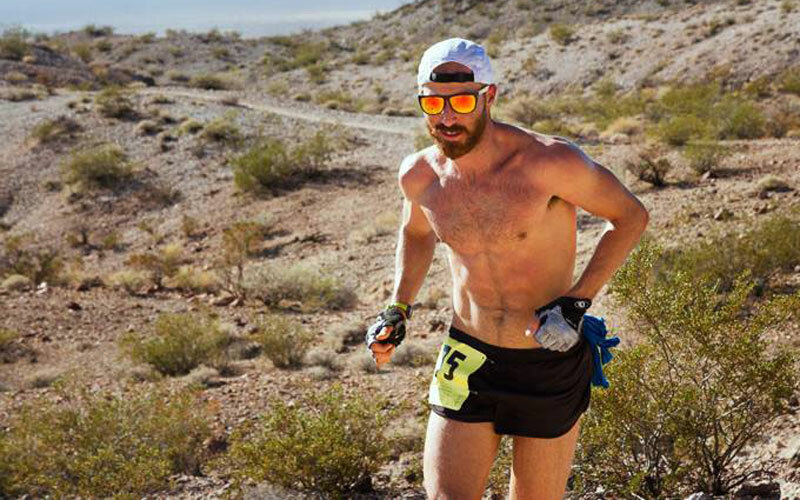 Puzey has sharpened the two-year mindset through years of experience as an elite endurance athlete, but the last 24 months forced him into practicing his approach in trying circumstances. In April 2014, Puzey was on the cusp of a breakout year when he suffered the broken leg, derailing immediate hopes and dreams while testing Puzey’s perspective as an athlete. For endurance athletes, serious injuries can cause setbacks in fitness levels that sometimes take years to regain. 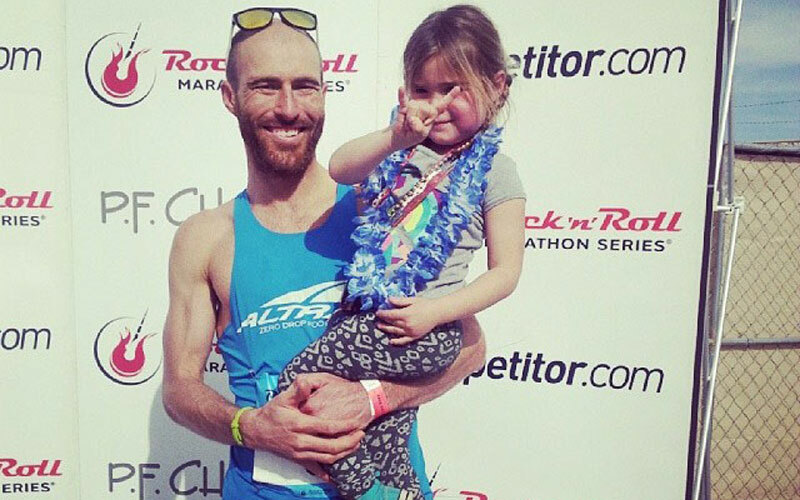 But while Puzey’s broken leg presented such a setback, it also allowed him the opportunity to pursue his only passion that supersedes running: fatherhood. A devoted dad to two young daughters, Puzey spent the days and weeks following his injury surrounded by his family. As Puzey inched toward full health, the town of Flagstaff offered an ideal backdrop for a runner’s recovery. Aside from picturesque running trails and stunning mountain terrain more than 7,000 feet above sea level, Flagstaff is home to NAU, where Puzey is in the midst of a rigorous 33-month program to become a doctor of physical therapy. The daily grind of pursuing an education while attempting to support a family is taxing. Combine that with a broken leg for a runner like Puzey, and he was armed with every excuse to give up on either aspect of his career. Instead, Puzey found a balance and employed his big-picture approach to maximize every hour of his days. The 22-mile round trip affords Puzey a daily retreat through the wilderness, but a man living on a time crunch quickly learns there is value in every second of the day. With his family waiting at home, Puzey shuns upbeat running music in favor of audio study guides aimed at relieving his educational obligations at home. “I condense the lectures that I have and make these audio study guides, and just on my phone as I’m running, I’ll listen to them in preparation for an exam. And that allows me to get out and still get the training that I need but also have it be productive,” Puzey said. Puzey’s training methods have evolved over time, and his wife attributes his current regimen to years of trial and error by the couple in an effort to make the most of the time the family has together. As demanding as two daily 11-mile jaunts appear, Puzey’s past endeavors have included four-hour runs while pushing 4-year-old daughter Harper along in a stroller and weekend saunters through the Grand Canyon. Just five weeks prior to competing in the Rock ‘n’ Roll Arizona Marathon, Puzey did something that most elite endurance athletes might not attempt so close to a big race. In early December, the Flagstaff resident traveled to the San Francisco Bay area to run the North Face Endurance Challenge, a grueling 50-mile ultramarathon consisting of drastic elevation changes geared to torment even the most disciplined athletes. The race formed a critical component in Puzey’s master training plan. He finished in 12th place despite spraining his ankle mid-race. The sprain meant Puzey couldn’t run for two full weeks after the race. Still, his rehabilitation plan didn’t exactly include a restful recovery. The ramifications of running the North Face Endurance Challenge lingered into the early morning of Jan. 17, when Puzey strode toward the starting line of the Rock ‘n’ Roll Arizona Marathon. Puzey admitted dull legs suppressed his confidence, and the early pace of leader and defending champion Roosevelt Cook proved too ambitious for his fitness level. After half a mile, Cook was alone in first place, competing more with the Olympic qualifying standard of 2 hours and 19 minutes than with the other runners in the marathon field. Cook widened his early lead as Puzey struggled to keep as close as possible to his goal pace of 5 ½-minutes per mile. A marathon is infamous for the toll it takes on a competitor’s body. After the halfway point, runners are subject to cramps, pains and breakdowns, making the final miles a survival of the fittest. Yet after reaching the point where most runners fall off, on a morning when Puzey was at war with his own body, he began an unlikely surge. As his breathing came easier, his legs started to churn and Puzey turned in four consecutive miles nearly 30 seconds ahead of his 5:30 goal pace. By mile 22, Cook’s lead narrowed to the point where Puzey finally saw him in the distance, and soon enough, they were running side-by-side. Cook gave the race his best shot, while Puzey conceded he played the marathon safe. Around mile 24, Puzey and Cook exchanged words of encouragement, a high-five, and the lead all at once. The 36-year-old Cook, bearing bib number ‘1’, relinquished first place, but the competition was far from over. As Puzey stormed past Cook, race organizers at the finish line announced the change in leaders, much to the surprise of Puzey’s wife and daughters. As Puzey closed in on his final kick, he resisted the urge to peek behind him. Cook has a reputation as a fierce competitor, and Puzey had experienced late misery in the Rock ‘n’ Roll Las Vegas Marathon in November, when he wasn’t sure if he would make it the last 100 meters to the finish line. Stiff from cramps and beaten down from the mileage, Puzey finally did cross the line in Las Vegas, but the memory stuck with him as he approached the finish in Tempe. In the closing moments, with victory in his grasp, Puzey succumbed to the moment and finally glanced back. Finding himself all alone, Puzey slowed his gait and allowed himself to soak in the glory and reflect. For Puzey, a finish of 2 hours, 25 minutes and 22 seconds validates a long-view training approach that others might see as impossible for a runner juggling injuries, education, career and family. While most runners were slowing down, Puzey was speeding up, recalling a line from a Pulitzer-Prize winning author that gave him the courage to push on and the strength to seize victory.